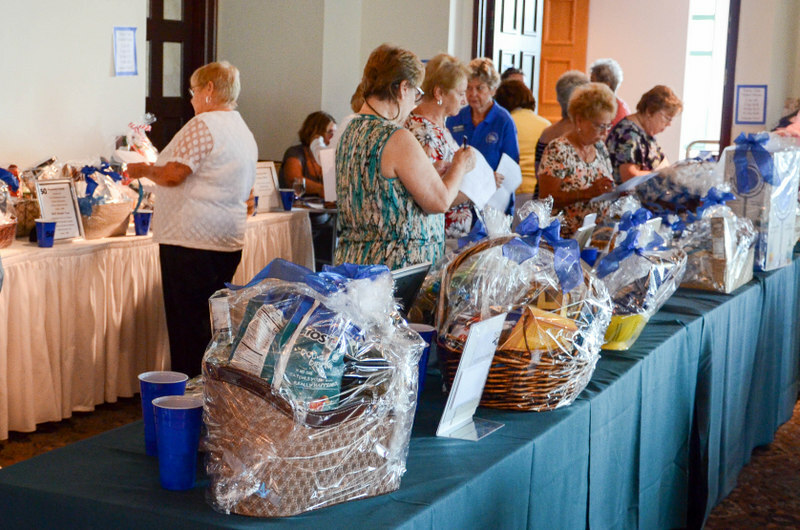 The Woman’s Club of Parsippany Troy Hills (WCPTH) held its 36th Annual Tee Off for Education Golf Classic & Luncheon Fundraiser at the Knoll West Country Club on July 11th. This is the primary fundraiser for the club’s educational programs and scholarships. WCPTH club member Lois Preis White chaired the successful fundraiser for the second straight year. All money raised goes back to Parsippany students (open to both male and female students) in educational programs such as scholarships to graduating high school seniors, Citizenship Awards to graduating 8th graders, 5th Grade Reading Awards, a Spelling Bee, Dr. Seuss Birthday events and library donations. For the 2017 school year, thirty-one students were honored by the club, including ten high school seniors who each received a scholarship. With the money raised at this year’s fundraiser the club will be able to meet or exceed the number of scholarships and educational awards for the 2018 school year. Over 60 golfers, including Parsippany Councilman Michael dePierro enjoyed the day. There were also 80 other attendees, including the New Jersey State Federation of Women’s Clubs (NJSFWC) President Jean Revis and women from other clubs in the NJSFWC organization, who all came and enjoyed a morning of bridge and other games. Mayor James Barbario and Parsippany Councilman Loretta Gragnani joined everyone for lunch. And after lunch there was an afternoon of bidding on over 55 Tricky Tray prizes and the 50/50 Raffle drawing. Some of the Woman’s Club of Parsippany-Troy Hills members at the 36th Annual Tee Off for Education Golf Classic registration table. From left: Marilyn Marion club President, Janet Reilly club member, Betty Lagitch club member, Lois Preis White club chairman for the fundraiser, Cathy Miller club member, Betsy Lowry club member and Cami Pesce club member. Seated is Jennifer Biondo club member. The Tricky Tray included gift certificates to area restaurants, baskets of cheer, tickets to Yankees and Jet games, and much more. Golfers getting ready to hit the course. Woman’s Club of Parsippany-Troy Hills President Marilyn Marion with the club chairman for the 36th Annual Tee Off for Education Golf Classic & Luncheon Fundraiser Lois Preis White before the luncheon.